Use the buttons above to zoom and rotate the 3D model below. Dragging and the scroll wheel works to do so as well. This tool is intended for a visual representation and "estimation" purposes only. Extra charges might apply. Prices are subject to change without notice. Carport World is not responsible for price errors. Truss design will vary depending on local codes and check before purchase to make sure building meets your local codes. This estimator is intended for "estimation" purposes only and installation is free on your level land. Colors may vary. Extra trusses may be required for heavy snow load or per door placement not shown in graphic or price. Base always 1' less than roof size. Doors & Windows may only be placed on closed walls. You can go back to Walls & Ends to select closed walls. R-Value 16, Radiant & Vapor Barrier, Great for Heat, Condensation & Cold. *If there is a price discrepancy over $20 Carport World reserves the right to cancel this quote or order. 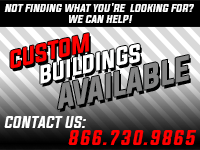 Enter your contact info below and click "Get a Quote!" to receive your quote by email. *We do not currently offer carports in AL, AK, FL, GA, HI, ID, MT, NE, NC, ND, SC, SD, UT, or WY. Internet Explorer does not support 3D CSS. Please use Google Chrome or Mozilla Firefox to configure your new carport here!